Angul: Principal Secretary (Industry), Govt of Odisha Sri Sanjeev Chopra (IAS), visited JSPL’s mega steel plant at Angul today. He visited different units of the steel making facility and interacted with Senior Management of the Company. 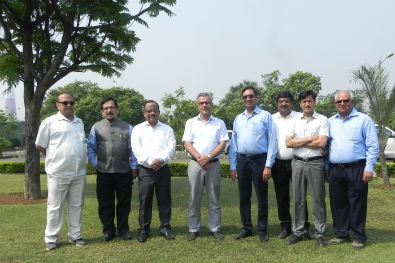 Senior Officials of JSPL led by Mr. Atul Misra, Executive Director In-Charge of the Plant explained him about the Plant operations, technology and facilities built under this 6 MTPA steel making complex. Mr. Misra also briefed him about the developments in the plant and the challenges associated with its operation. Mr. Chopra visited Jagannath Temple at Devbhoomi in Jindal Nagar, before starting the Plant visit. He later talked to women members of Self Help Groups (SHG), promoted by JSPL Foundation. He was also apprised about various CSR activities being implemented by JSPL Foundation in collaboration with the Government/Dist Administration in Angul District. 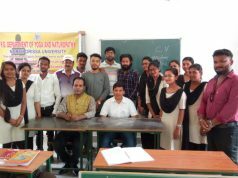 Collector & District Magistrate, Angul Mr. Anil Kumar Samal (IAS), Sub-Collector, Angul Mr. Sarojkanta Mohanty, Tahasildar Banarpal, Mr Sudhanshu Kumar Mohanty, LAO Angul, Mr Basanta Kumar Das, CGM IDCO Mr Susanta Mohanty, Land Officer IDCO, Mr Sidhartha Shankar Pani accompanied Mr. Chopra during the visit.